The estate inventory of Thomas Porcher was made at White Hall Plantation near Pinopolis in Berkeley, SC on 24 Nov 1843. The inventory lists the names of 135 enslaved ancestors. 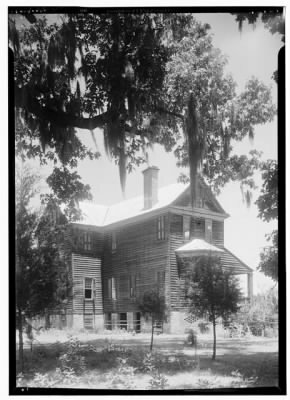 White Hall Plantation was situated between Hanover and Ophir Plantations on the south side of Ferguson Swamp. Originally owned by the White family, White Hall was sold to Thomas Porcher of Ophir Plantation, for the use of his son Thomas Porcher . The house at White Hall Plantation was built by Thomas Porcher in 1824. The plantation was flooded during the Santee/Cooper Project and now lies under Lake Moultrie . The African American Cemetery at White Hall Plantation was relocated to the Somerset Reinterment Site . Matrana, Marc R. 2009 Lost Plantations of the South. University of Mississippi Press, p. 71. Website South Carolina Plantations, http://south-carolina-plantations.com/berkeley/white-hall.html, accessed 2 Oct 2010.